If your business calls you to Kolkata frequently, a good place to stay will offer respite from a tiring day. We recommend staying in boutique hotels that combine comfort and indulgence and are well priced yet wrapped in luxury. 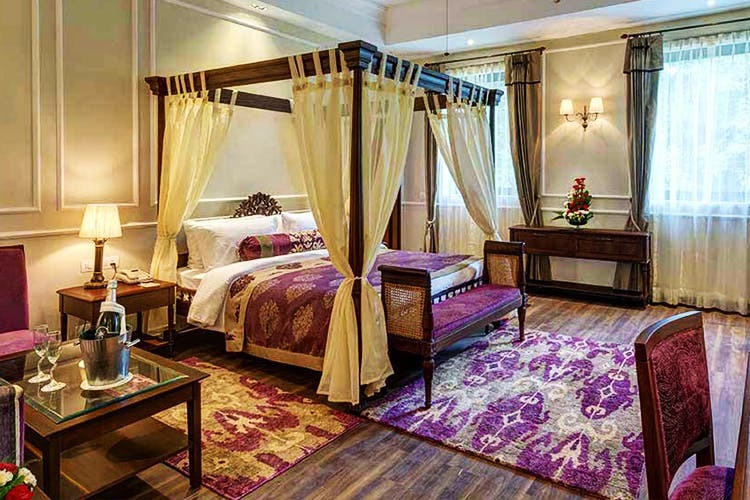 Here’s our pick of hotels that cut across price, location and tastes—colonial houses of central Kolkata to plush stays in Salt Lake. The Kenilworth Hotel in central Kolkata offers sleek modern luxuries within a colonial architecture. Located right at the heart of the city near Park Street, when at Kenilworth, you’re never far from business houses, shops, restaurants and bars. But with their luxurious spa, a holistic fitness centre, and aromatic restaurants serving great food, you might not even want to step out of it. Plus, they have the well-stocked English pub whose rich wooden interiors, lounge ambience and live music is good enough reason to stay holed in there. For more details check here. Once an old colonial bungalow, this boutique hotel is quaint and quirky in its charm. Somewhat like a go between a B&B and a hotel, The Corner Courtyard with its homely feel, arsty interiors, vintage furniture and the wraparound courtyard is perfect for a staycation which feels home away from home. They have seven rooms and a lovely restaurant below that serves fantastic European fares. But what charmed us the most is their pretty little terrace that offers a panoramic view of the city skyline. Look up here to know more on how to book. Tucked inside an upscale modern apartment in Salt Lake’s Sector V, AltAir occupies three floors of luxury in the building (floors 19-21). While there are twenty-three Rajasthani styled rooms to put up in, there are amenities like a jacuzzi, an infinity pool, a sunbathing deck and a fitness studio to indulge in. the best place to unwind would be their rooftop that acts as a sky bar by day and a resto-bar by night. So, push work out of your mind and enjoy an indulgent staycation at AltAir. A throwback to the opulence of old world charm, this century-old mansion in red and white is like a time warping island whose plush modern amenities complements its high colonial architecture. You can bask in the modern luxuries of your room or can savour some tasty Indian and colonial continental staples in their only restaurant. From their rooftop café, Deck 88, that oozes a European charm to their sleek modern nightclub, Phoenix, The Astor offers a one-of-a-kind experiential stay that is hard to pin down with words. Click here to know more. With a good number of single rooms and suits to offer, Senses is a good mix of business and leisure in Salt Lake. Apart from their fitness centre and several banquets to host conference and meetings, Senses is best known for their rooftop pool and of the poolside bar Liqua. Set under open skies and supplied with a café and bar, the rooftop poolside offers a panoramic view of the cityscape that is best enjoyed during sun downs. For more info check here. A haven of modern indulgences and luxuries, Aauris is meant for a pampering staycation. Boasting of fifty-five lavish ultra-modern rooms, you can make you’re your stacation into a pampering indulgence with Aauris’s spa and fitness club, café, fine dining restaurant, lounge bar and poolside bar. So, when pampering is what you crave then definitely book yourself a room here.